This year, we did some local advertising for our hampers and also offered them at the shop. Quite a few people got in touch through the blog to buy hampers too, including a lady who runs a call centre in Cairo! 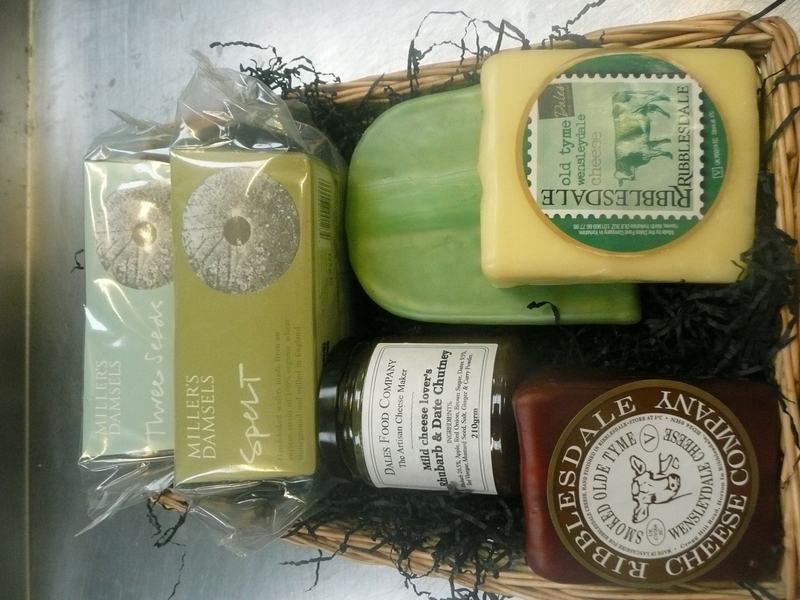 I think a basket of handmade cheese is a great gift for anyone, especially those who can be difficult to buy presents for. We asked people their budget and preferences and made up the basket accordingly. Prices ranged from £9.99 to £40. Back at the main unit, we spent hours in the lull before Christmas carefully cutting up cheeses, trimming them and hand waxing wedges and using our new labels – they look really pretty. We also had the mini press working overtime making little Wensleydale truckles and we included some of our new blue wensleydale and new blue goat cheese, hand waxed in blue. We prepared quite a lot of hampers for Christmas, in fact, so many that I got a bit muddled with what had and had not gone out…such is life, but we got there in the end. 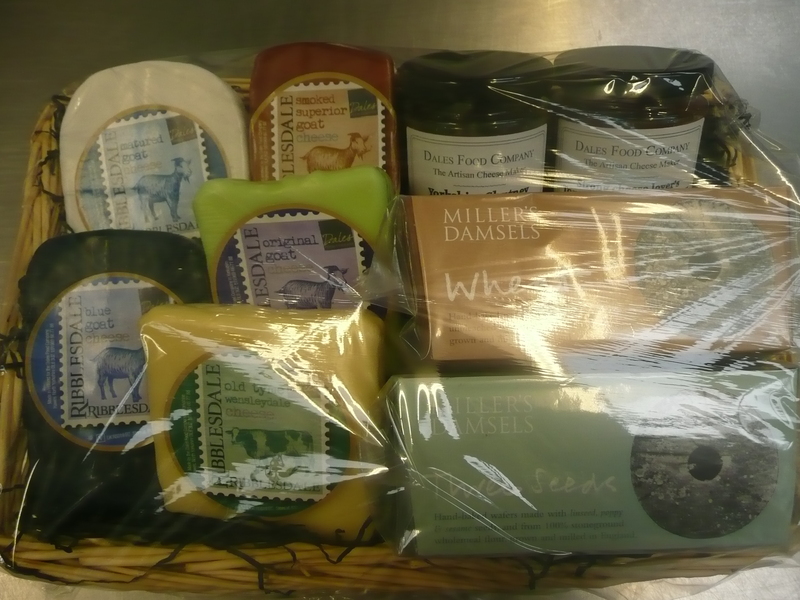 Here are a few pictures of some of the hampers we sent out. It’s just a huge shame that we cannot send baskets of cheese overseas in an economic way – the postage far outweighs the cost of the cheese.